OfficeTeam is the world's leading staffing service specializing in the temporary placement of highly skilled office and administrative support professionals. We offer webinars on career, hiring and workplace topics. 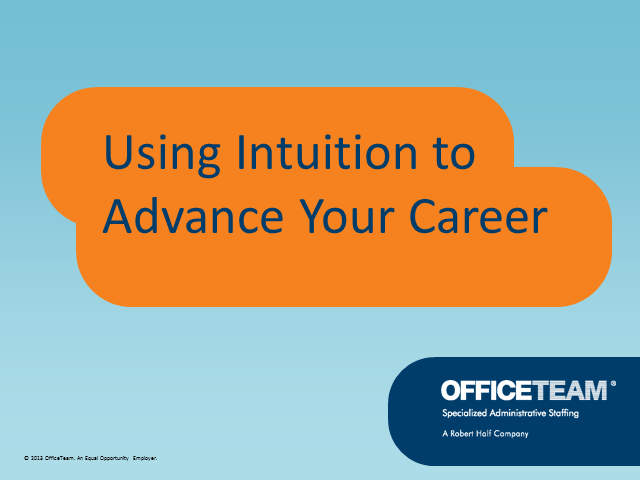 Does intuition play a role in today’s workplace? According to research from OfficeTeam and the International Association of Administrative Professionals, it certainly does. During this webinar, we'll provide advice on how you can use the abilities you already possess – such as observation and analysis – to help advance your career.